Europeans love drinking, and love drinking well. OK, walking in London or in Helsinki on a Friday night you might have the feeling Europeans prefer quantity rather than quality of drinks, but still the culture of drinking (bere, boir, tomar, drunk…) is a big part of our culture. What do Europeans drink? French and Italian wine, German and Danish beer, Finnish and Polish vodka, English or Flemish gin, Spanish sangria are all well known, but what about cocktails? And what about Martini? No worries, plenty of very good Martini bars exist in Europe, each one with its own peculiarities and differences, as the European Union propels themselves. But be careful. 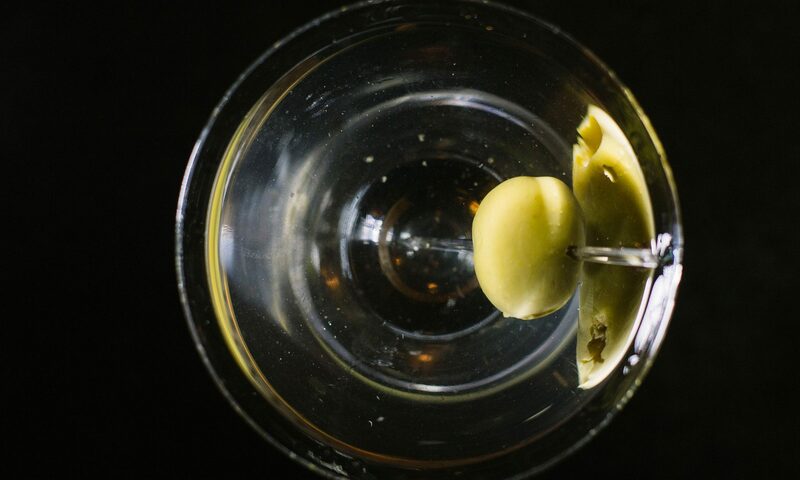 Differently from the US, ordering “a Martini” in Europe can result in a puzzled waiter’s face, or even worst in a glass of Martini Bianco on the rocks. You can try ordering a “Martini Cocktail”, or a “Dry Martini”, but I do not guarantee that you will be satisfied by what you will get. 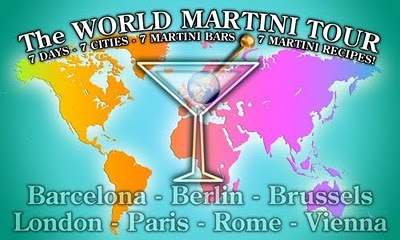 To help you out, we have prepared a Europe Martini Tour that touches seven EU capitals, and we propose for each city a top-quality Martini bar and a specific Martini recipe, prepared by The Martini Diva: click on the image to get the recipe card. Let’s start from Rome, probably the most beautiful and fascinating city in Europe. Think of sitting in a caffè where Federico Fellini has conceived its masterpieces talking to Marcello Mastronianni, surrounded by real paparazzi and that “Dolce Vita” mood that has made history. Yes, the world changed quite a lot from the 50s, but in the Harry’s Bar in Via Veneto still you can sip a perfect Martini and feel part of the Dolce Vita, as if time had stopped when Sofia Loren was calling “Marcello!!”. Probably the city in the world that most has changed its face and soul in the last 20 years, Berlin is today a paradise for bar lovers, and you can be up all night for 365 days without being twice in the same bar, I guarantee. Berlin has this feeling of underground life, where nothing is written and everything is possible, and this is its magic. To go to the roots of this feeling, one should find the bar in East Berlin where communist intellectuals used to sit in the 80s, discussing the upcoming wind of change. Well, this bar exists, is called Wuurgengel Bar, and today serves marvellous Martinis. Wunderbar. Nobody can say for sure who invented the Martini Cocktail, but who was the greatest global promoter of this cocktail is clear: Mr Ian Fleming, who equipped his hero James bond with a Martini glass, and then with a gun. Wouldn’t it be fantastic to sip a Martini in the same bar where Mr Fleming conceived its first novels, helped by some Martinis? And what if this bar was in the most cosmopolite city of Europe, in the heart of a classic Victorian district, and was prepared by some world-class bartenders? In London, this is possible, just look for the Duke’s Bar, and be part of Martini’s history. Please, do not ask it “shaken, not stirred”, that would be too much. In a few places in the world you can get lost in the small medieval streets of the Barrio Gotico and find yourself in front of a postmodern building such as the Contemporary Art Museum, where most probably a concert is taking place, that will be followed by a club night until the morning. Everybody knows the city, but not everyone knows that Barcelona hosts one of the best Martini bars on the globe, that has just served its Martini number one million. Yes, the bartenders did count all the cocktails served… The only problem is that it is very hard to hop in the Dry Martini Bar just for a pause in between your discovering of the city; if you enter, don’t make plans for the “despues”: the place and the drinks are so good that it might take a night to get out! Discovering the beauty of Brussels, the capital of Europe, takes a bit more that falling in love with Paris or London, but if you take your time to discover the many hidden beauties of the cities as well as the cheerful character of Bruxelloise citizens, you’ll be rewarded. As an example, take the Archiduc. Behind a small door, a jewel of a bar is hidden: step into the 20s by sitting in an Art Noveau balcony amid artists and musicians, enjoy some good drinks and say with us: Vive Bruxelles! What is the most chic city in the world? Before you answer, think of a city that hosts a bar that is also a very high-end flowers shop, and that serves only top-level champagne and vodka. Well, this bar is in Paris, and you got your answer. The incredible thing is that the Bar Fleurs is – on top of all this – a very cosy and friendly environment, where getting a Vodkatini Petroushka is as easy as buying a beautiful white rose. Voilà, la Ville Lumiere!